The La Verkin Creek hike was chosen with the belief that there would be a spur to connect to the carved out rock formation below. As you can see the sky is overcast and it was very windy. Hiking down into this valley did block the majority of the wind. 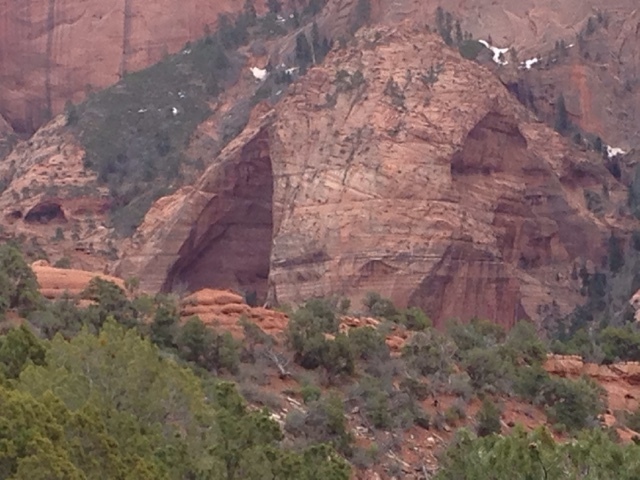 Here is the carved out rock formation that was the objective of the hike. 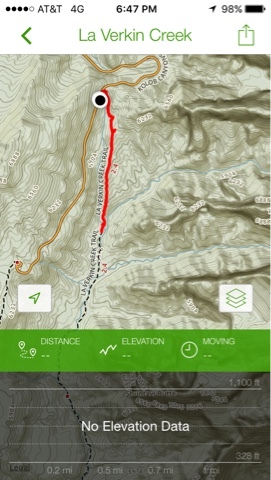 Although the AllTrails App above didn't have distance and elevation the hike was about 4 miles round trip with about 500 foot elevation change. There were some people hiking out that had stayed in the wilderness the night before. After reaching the valley floor where the dry riverbed was and found out there was no side trail, it was time to start the drive to Las Vegas. As I was leaving the park rain was approaching. In the visitors center they sell a map of hiking trails in Zion, that in retrospect I should have purchased and I would recommend for others that may wish to do some serious hiking hike. 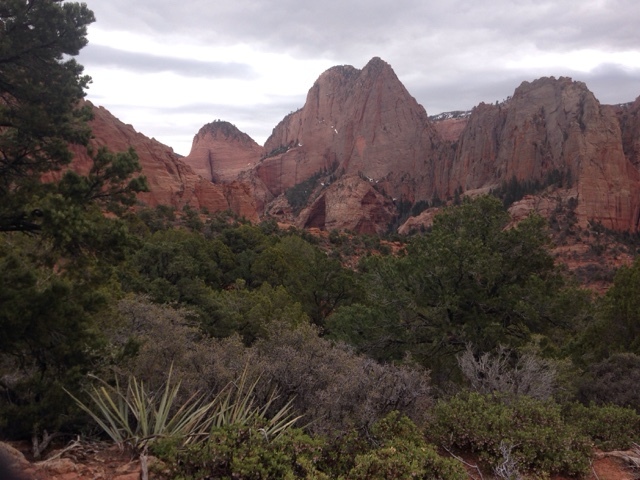 Come to Zion and take a hike.